Hi, my name is Paola Lovisetti Scamihorn. I am Italian, born in Como (Lake Como, Italy) on the shores of the beautiful lake which bears the same name (Lake Como). I studied Pharmacy at the University of Milan and received a Master in Medical and Pharmaceutical research in Brussels. I published several papers in International scientific journals. I lived abroad for nearly a decade, first in London, Brussels, then in Innsbruck. Cooking has always been my passion. 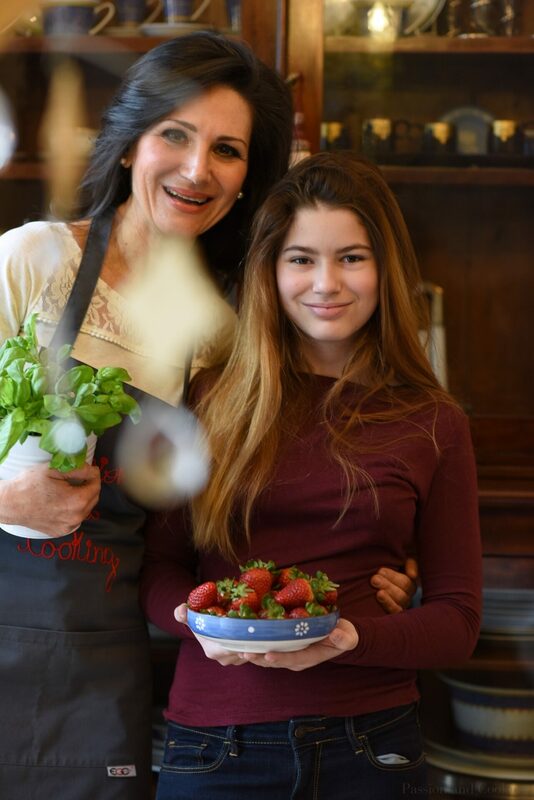 When I was a little girl I loved to cook, spending hours in the kitchen with my mother, making a mess but learning delicious traditional Italian recipes, using authentic, seasonal, fresh ingredients and preparing everything from scratch. Today, I am still that same little girl playing in the kitchen; I like to experiment with different tastes and textures, tingeing from the Italian culinary culture to create my own personal recipes. However, I try to remain faithful to the authentic Italian traditions, flavors, and ingredients. In Italy we say that “A tavola non si invecchia” (one does not grow old at the table); the pleasure of good food, wine, and company is such that the passage of time is suspended. For me food is not only nourishing but also comforting, loving, fun, pleasurable, stimulating and well-being. Cooking, eating healthy food and staying active have always been my life-long passion and – indeed – way of life. My food is simple, tasty and nutritious. You can find my personal selections of daily and healthy recipes in my favorite recipes. 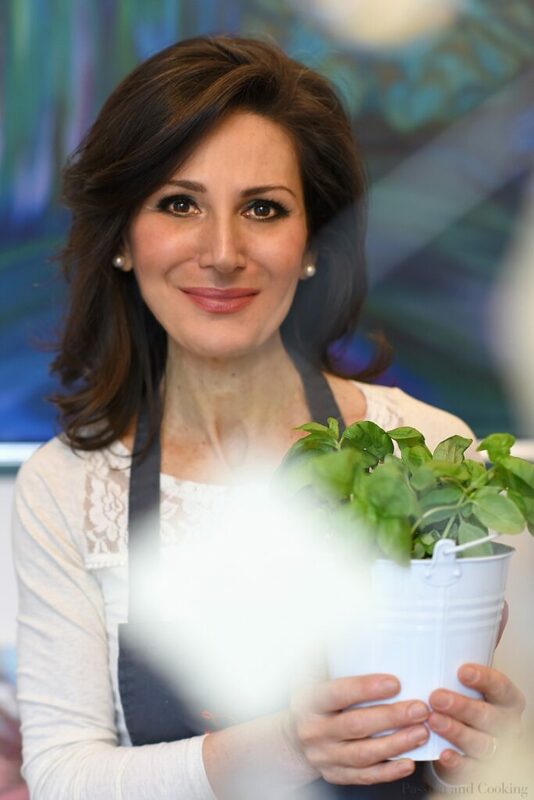 I hope this blog will give you a flavor of the true and healthy Italian lifestyle, through traditional cooking, “an experience for all your senses”. The stories, the food, the photographs, all reflect the way I live here in Italy, as an Italian. I personally do the shopping and the cooking of the recipes, as well as the scientific, culinary and cultural research. Even all the pictures are “homemade” in my dining room, since it’s the best spot for natural light. If you would like to read these recipes (as well as some of my other favorites) in Italian, click on UnaDonna and on JunGlam (Just in Glamour) online magazines that I write for. My recipes can also be found at Honest Cooking, Alimentari Magazine and WetheItalians, a bi-lingual window on the Italo-American world. I am a member of Cultural Frame of Food, Italian Food and Nutrition Association. I collaborate with Lusso e Gusto, a delicious gastronomic journey to Northern Italy and with La Provincia newspaper, Tess magazine and Enjoy magazine.. I am very happy to be the Culinary Ambassador for the exclusive Salamander Hotels&Resorts (USA). I have the previlege to know personally the CEO, Sheila Johnson, with whom I share the same health philosophy, based on good food and physical activity. I have previously published in Italy, Love is Eating, a book about Italian culinary culture. In 2018 I published in USA The Mamma Mia! Diet. The Mamma Mia! Diet is more than just a meal plan—it’s a complete lifestyle guide. Based on an improved version of the classic Mediterranean diet, the Mamma Mia! 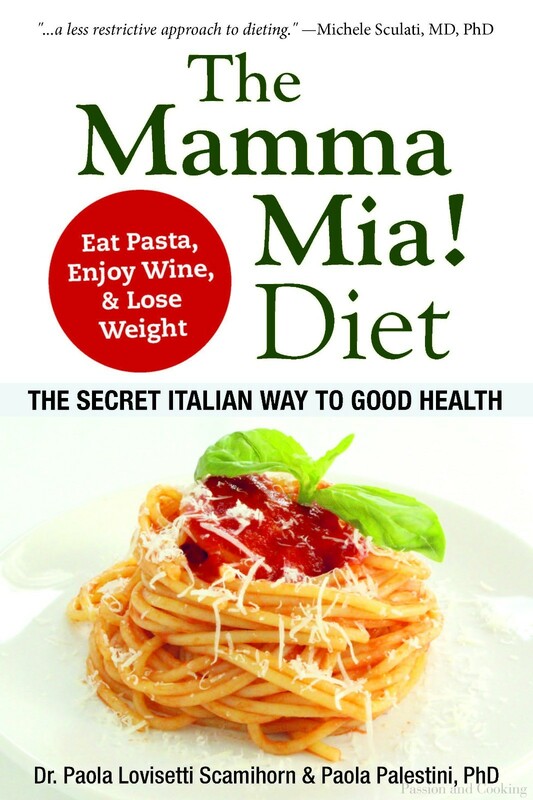 Diet provides you with modernized versions of healthy Italian dishes to help you lose weight while still feeling full and satisfied. Last, but not least, for both lovers of Italian food and the merely curious, I offer fun and informal lessons about Italian cuisine and culture. I teach in English or Italian, using both metric and imperial measurements. If you are interested, or someone you know is, please contact me directly (see cooking classes). TO SUBSCRIBE : Please press the follow button on the right bottom corner of any page. Contact me without hesitating if you require any kind of help. All images and recipes are original work and are protected by international copyright laws. Copying of any of the content on this blog is plagiarism and is illegal. Wow! I love your new blog. The fact that you two lovely sisters are doing this together makes it even more special. I am looking forward to following you blog, and, of course, sharing it with friend. Buona fortuna with your new venture. Ciao Carol, Thank you very much for your nice comment. what a nice idea !! I hope I will find the time to cook according to your recipes !! Thanks Rhea! You have to find time to come for a visit and try the recipes here. Thanks Julietta! Hopefully I will have a chance to cook for you next time you come to Lake Como! Just reading the recipes make me hungry … off to the kitchen I go for some happy cooking! Great food creations from two passionate women. I am living in Germany, but nothing beats the sensual ingredients of Italian cooking …. I look forward to spoiling the important people in my life with your wonderful recipes. Thanks Elisabeth for your touching comment. It will be my pleasure to cook for such a special and enthusiastic fan as you are next time you come to Como! Congratulations! I will give a try to one of your receipts and let you know! A sister act! I love it! Pamela Sheldon Johns originally introduced me to your very lovely blog. Paola, your recipes sound wonderful, and I particularly enjoy the historical background you offer. And to Giovi, your photography is most engaging and shows off the food to great advantage. Photographing food can be quite difficult. I congratulate you both on a job well done. I have added your blog to my “Sites I Like” list. Thanks, Adri, for your very special comment! I really do appreciate it, knowing that it comes from you! I love to cook and to share my passion for it with my friends. I will add your blog to my blogroll, and I look forward to reading more of your recipes. Complimenti, il vostro blog mi piace davvero molto! Ottime ricette, “veste” piacevole, belle immagini…che altro? La vostra simpatia!! just read your note about your new blog. what a great thing. It is very nicely done and the photos are bellissimo! would love to see you and Steve and the family during your visit to dayton. oggi sono finalmente riuscito a visitare il tuo blog e l’ho davvero apprezzato. Belle le le foto, l’impostazione del sito e ovviamente le ricette. Brave! I just arrived here tempted by Adri’s Facebook post. I’ve been looking around and really like what I see. So many of my favorite recipes are here, it’s uncanny! I wish I had your and your sister’s talent for photography, they’re lovely and really bring out the innate beauty of the ingredients. All in all, complimenti. I’ll be back regularly! Ciao Paola, mi chiamo Tony e lavoro a Riyadh Saudi Arabia. Ieri un caro collega di nome Steven ci ha deliziato facendoci assaggiare un tiramisù fatto da lui.Devo dire che era molto squisito, e faccio i miei complimenti alla teacher che gli ha insegnato a farlo così bene. My friend Frank Fariello from Memorie di Angelina nominated your blog for the Cannolo Award. You absolutely deserve it, so… Congratulations! I’ve already added your name to the list of winners at: http://www.disgracesonthemenu.com/p/cannolo-award.html. Please check out the page also for more information on the award. I’m very happy to have discovered your blog and I’m looking forward to exploring it! Congrats again! volevo farti complimenti per il blog! Bello, ben organizzato e sofisticato. Io lo apprezzo in modo particolare perché ogni tanto wordpress mi fa impazzire!! Le ricette, comunque, sembrano sfiziosissime! Mi riprometto di provarne qualcuna al più presto! If you do just one thing on a visit to Como, make sure you take a cookery class with Paola. I was in Milan a couple of weeks ago, and on the last day I took the train to Como for one of her private cookery classes. I can honestly say that it was the highlight of my trip! We met at the main square in the town, where Paola treated us to an authentic Italian coffee before leading us on a tour around the farmers’ market to select fresh ingredients and meet the local food producers. We got to try so many meats, cheeses and vegetables I’d never even seen before, and the local strawberries were out of this world! Back at Paola’s apartment (which is just a few minutes’ walk from the market), we helped to cook a delicious three-course lunch including Caprese Salad, fresh pasta, Saltimbocca alla Romana and Tiramisu, while Paola taught us all about the Italian way of life and the Mediterranean diet. Once we had finished cooking, we moved into the dining room to eat, and were joined by Paola’s husband and two children. What a wonderful family! They were so friendly, funny and full of stories to tell. It really felt like I’d been welcomed into the heart of a real Italian home, and I left with such a warm, fuzzy feeling that I haven’t stopped talking about it since! Seriously… if you find yourself in Milan or the Lake Como area, spend a day with Paola. You really won’t regret it! I’d do it all again in a heartbeat. We spent Oct. 10 with Paola, and like Hayden, we had an amazing day at market and a cultural experience at Paola’s Home. The cooking and sharing a meal of spinach and salmon in puff pastry, pumpkin risotto, and tiramisu, hospitality, and instant fellowship. Thank-you Paola, for an unforgettable memory! I made your POLLO ALLA CACCIATORA over the weekend for my wife, my daughter, her husband and my son and it was fabulous. But maybe even more wonderful was the way the house smelled. skin that I was able to pour about half of it out and still had enough leftover to saute the onion, garlic, celery and carrots. Last I checked, there was a little leftover and I hope to bring that to work for lunch tomorrow. Ma forse ancora più meraviglioso era il modo in cui la casa odorava. pelle che ero in grado di versare circa la metà di esso e aveva ancora abbastanza avanzi per soffriggere la cipolla, aglio, sedano e carote. L’ultima volta che ho controllato, c’era un piccolo avanzo e spero di portarlo a lavorare domani a pranzo.